See more objects with the tag electronic, screen, recording, tool, organization, buttons. See more objects with the color darkgrey lightslategrey silver dimgrey darkslategrey or see all the colors for this object. This is a Personal digital assistant and stylus. It was designed by IDEO. It is dated 1999 and we acquired it in 2009. 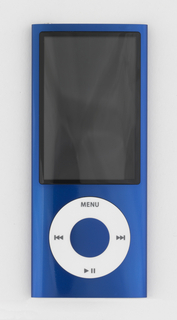 Its medium is anodized aluminum, plastic, metal. It is a part of the Product Design and Decorative Arts department. 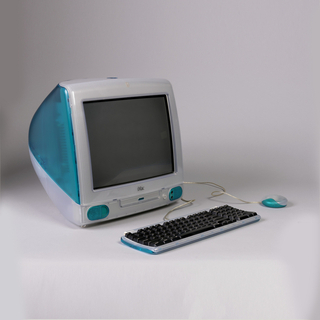 Cooper-Hewitt has been building its collection of late 20th-century industrial and digital design by acquiring examples of innovative technologies and forms. 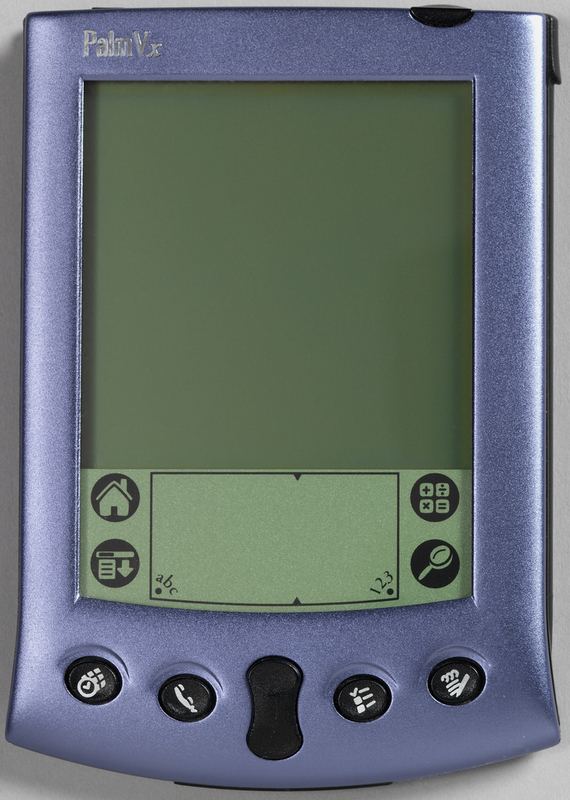 The now-ubiquitous personal digital assistant (PDA), also known as a palm-top or hand-held computer, is one category of collection interest. 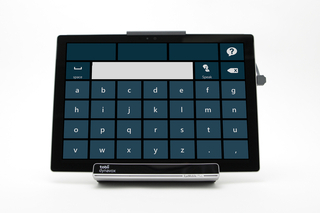 The Palm V is an example of PDA technology designed by the California based firm IDEO. The Palm V, derived from its rectangular slab-shaped predecessor, the PalmPilot (1992), was designed and introduced in 1999 as part of an effort to reposition the Palm series as the most desirable device in the burgeoning and competitive PDA market. The Palm Computing Division of the 3Com Corporation enlisted IDEO to design the device. Founded in 1991 by industrial designers Bill Moggridge (2009 NDA Lifetime Achievement award winner), David Kelley, Mike Nuttall and, later joined by Tim Brown, IDEO is known for its holistic, human-centered, and innovative approach to design. Whether developing products or services, IDEO often starts the design process by talking to and closely observing consumers—the end users—to better understand design problems and develop potential solutions. The consultancy has designed everything from household products and interactive digital media to systems and environments. Thinner and lighter than earlier plastic Palm PDAs, the Palm V is housed in anodized aluminum. It is a sleek and slim form, softened by curved edges and dominated by a large, clear LCD screen. The form fits easily in the hand and is small enough to fit in a suit pocket. It could almost be worn like jewelry, like a modern day pocket watch. Four buttons below the screen access frequently-used functions such as a scheduler, task list, and phone book. A simple icon identifies each button. The user can also access functions by tapping icons on the screen. Data is entered simply by tapping an on screen keyboard or “writing” with a thin stylus stored in a slot in the side of the device. To download data or synchronize a calendar, a user can connect the Palm V to their computer. Although the Palm V was designed with the business user in mind, 3Com also wanted to appeal to a broader consumer market that was beginning to expect greater ease of use and sophisticated design features in their personal electronics. 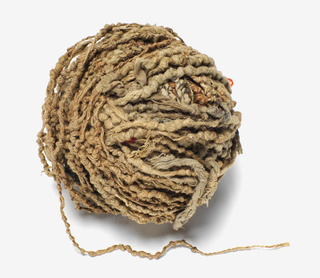 Subsequent editions were marketed as lifestyle tools. By the early 21st century, PDA functions were being incorporated into smartphones like the Palm Treo, the Blackberry, and the Apple iPhone. Smartphones soon supplanted PDAs as multifunction communication and information tools in an increasingly connected world. The Palm V is a seminal piece in the history of hand-held data devices. 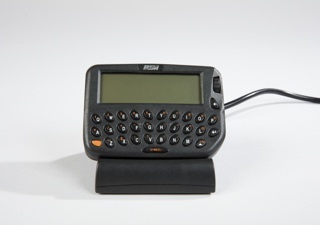 The Palm V helps tell the story of the evolution late 20th-century industrial and digital design and would complement two PDAs in the museum’s collection from the early 1990s: an AT&T EO personal communicator and an Apple Newton. It is credited Gift of Roland L. Trope.